Currently in the midst of her world tour, and with an acclaimed second album doing the rounds, Courtney Barnett feels able to share how she’s faced misogyny in the music industry, the secret to song-writing genius and the juggling of her successful record label, Milk! The release of Tell Me How You Really Feel may have come as a shock to some fans, the themes and ideas of the album retreating to the darker realms of Barnett’s mind – a far cry from the funny and candid lyricism of her debut album Sometimes I Sit and Think and Sometimes I Just Sit. Nevertheless, Barnett’s wittiness still surges through the album, her vulnerability and honesty proving a triumph to not just her fans but to her own self-discovery both personally and as an artist. “I guess the album does take a darker approach”, she reveals, “I guess it was just the headspace I was in, where I was and the stuff that was going on with me at the time”. Known primarily for her cleverly crafted lyrics, Barnett’s second album deals with relevant issues artists face daily in the music industry, the songwriter saying “I spend a whole lot more time on lyrics, I’m always trying to say something or get an idea across”. This rings true with Tell Me How You Really Feel, Barnett expressing her experiences with sexism and misogyny: “A lot of the time I didn’t realise that I was facing it,” she continues “It was so common and I was so used to and accepting of it that once I realised, it made me angry that I’d been putting up with it for so long”. She endeavours to reveal how she saw it as a reverse understanding and that it was her own internal mind. After figuring out that she was, along with many other women in the music industry, affected too, she decided to take a stance and write about her experiences. Cue Tell Me How You Really Feel. The conversation wasn’t all so serious however, with Barnet revelling in the delight of making others happy with her music: “I think sometimes when you spend so long writing a song and recording it, and then doing promo and touring, you sometimes think: what’s the purpose of all of this? Then there’s a little kid at a show who’s having the best time and that makes it all make sense”. She continues to express the pleasure that she gains from her own music, telling us she finds the success she created for herself as an independent musician both “liberating” and “rewarding”. Alongside her musical project, Barnett also runs the successful record label Milk! with parter and fellow musician Jen Cloher. “It’s difficult, it’s extra work,” she admits, “but it’s all so worth it”. It’s also so worth going to see Barnett live. An extravaganza of magnificent melodies, sparkling stage presence and of course those instantly recognisable and ingenious lyrics. 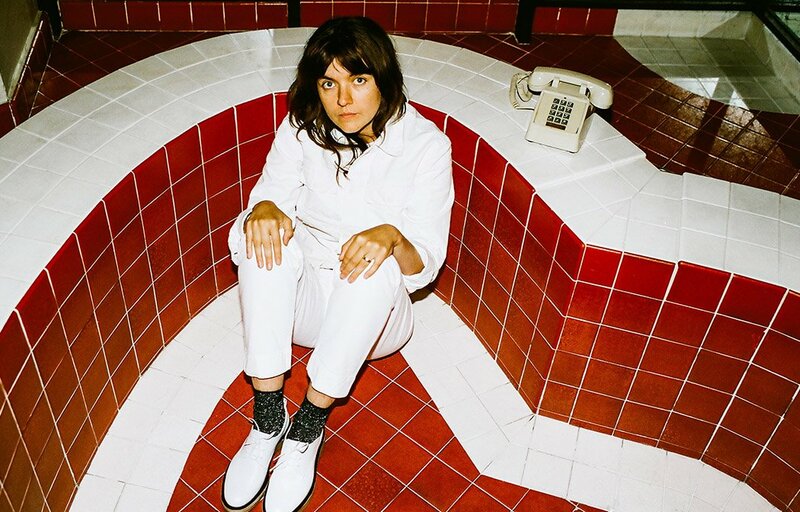 Courtney Barnett is coming to Brighton Dome on Fri 16 Nov.